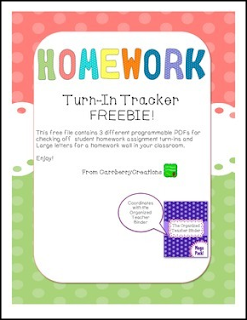 This free file contains 3 different programmable PDFs for checking off student homework assignment turn-ins. Type in any space on the forms to customize the way you like. You can even change fonts and font sizes by pressing Control-E or Command E on your keyboard. This file also includes large letters for a homework wall in your classroom.